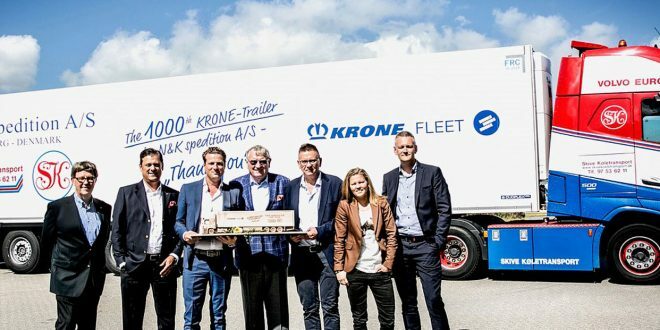 N&K Spedition is one of Krone’s largest refrigeration customers and has just received its 1,000th refrigerated semitrailer from Krone Fleet Denmark since 2010. N&K’s fleet of semitrailers is equipped with Krone Telematics, which enables all data to be scanned into N&K’s internal IT system. 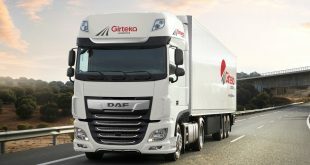 N&K has currently commissioned 225 new refrigerated semitrailers for delivery during 2018/2019. 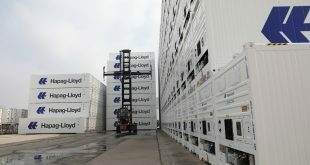 The last order includes several refrigerated vehicles with meat-hanging rails, piggyback trailers, and single-temp’ trailers. “Both of our companies have had a great and positive relationship for several years. 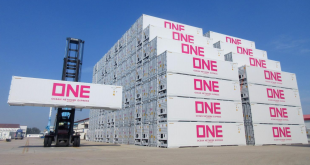 Thanks to our joint achievements, we have built a very stable partnership and improved our respective positions in the market”, says Søren Outzen, General Manager at Krone Fleet A/S, Denmark. “We, too, at N&K Spedition are very pleased regarding our collaboration with Krone Fleet. Our close relationship and mutual trust foster a steady growth and we see ourselves as a reliable partner.” – adds Per B. Jensen of N&K Spedition. N&K Spedition was founded in Esbjerg by Per B. Jensen in 1988. 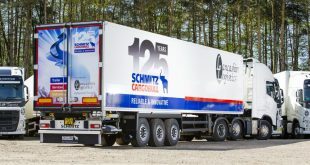 The company has more than 25 years’ experience as a transport operator with a focus on transporting fresh and frozen goods to Western and Eastern Europe. Its main headquarters is in Esbjerg, Denmark, and the company has subsidiaries in Norway, Sweden, Lithuania, and Spain.